Shopping for Jurassic Park Travel Cups? Bigger, louder, more teeth! That's how you like your dinosaurs and that's what this Jurassic World Teeth 16 oz. Flip-Straw Travel Cup says. 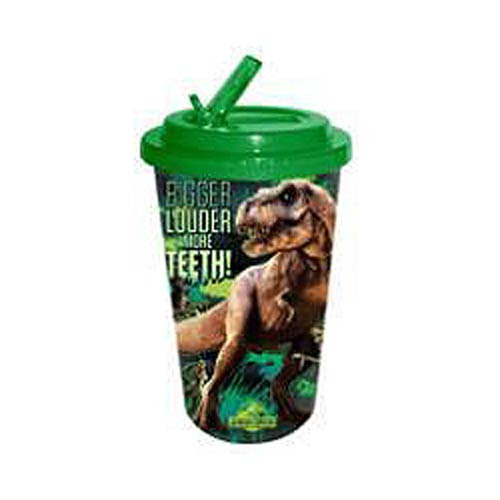 Featuring an image of the fan favorite Tyrannosaurus Rex, this cup is perfect for any fan of the Jurassic Park films. Hand wash only. Not dishwasher safe. Do not microwave. Ages 13 and up.